MakeTank - Digitally Crafted Design, the European Makers' marketplace, wants to know what makes your Christmas special. 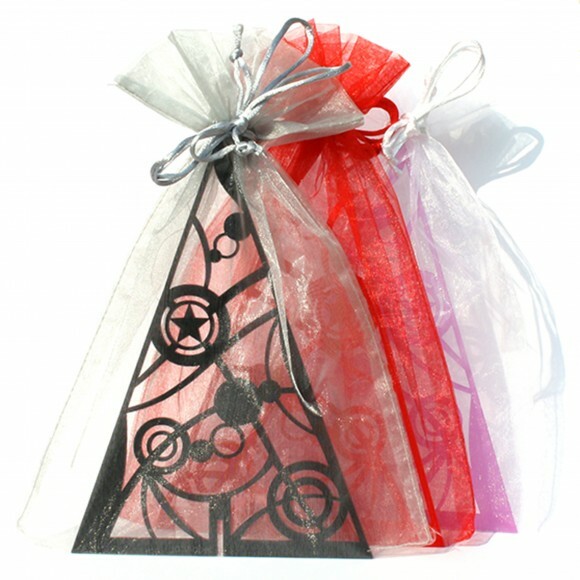 Tell us in just a sentence and enter a contest to win an original Christmas decoration offered by two MakeTank vendors. To send your sentence you have to login to MakeTank using this link (if you are still not registered, it's the right time to do it - it's free!). 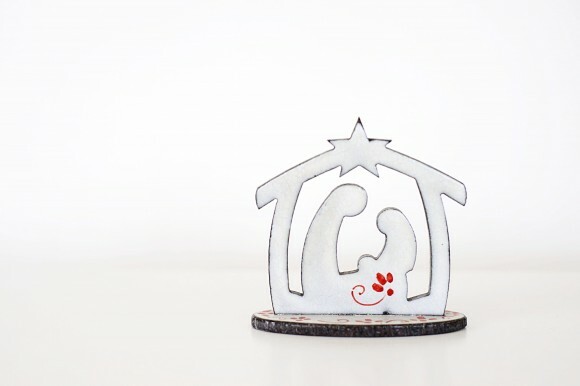 To help you feeling inspired, in this post we talk exactly about Christmas and inspiration with designers Magda Masano - who offered to our winner a lava stone nativity, hand-painted in glaze (worth 32,00 €, you can find it here with a red or blue decoration) - and Danilo Riva, whose plexiglas laser-cut Christmas tree (worth 14,50€, you can find it here in many colors) is the second prize of our contest. Magda Masano told us that "My inspiration comes simply from Nuccia, my mother: every Christmas she asks me to design a new Nativity for her collection. She already has many of them and loves their meaning of love, family and communion, which I try to summarize through a drawing in harmony with my favorite materials, turning them into a beautiful object. In a little more than 10 centimeters of lava stone, hand painted with simple white glaze and some colored flowers, this Nativity has everything a Nativity should express". "I've been designing a different Nativity every year for three years: now it's a tradition, 100% based on my origins. My projects come out from what's around me (the energy of Etna is fantastic!) and what I learn: from values to feelings, to materials. Then I follow my grandmother's advice: she always told me "do the best you can, with what you have, where you are". For me this means "the best design, with lava stone, at Etna slopes", she says. What do you have to do to win the Nativity or the Christmas tree? It's easy: tell us what makes YOUR Christmas special. A panel - formed by Laura De Benedetto, co-founder of MakeTank Srl, Francesco Zorzi, Art Director of Alias2k web agency, and Caterina Chimenti, traveller and creative blogger, author of Lonely Traveller - will select the two most original sentences. But now it's time to think on your sentence. Good luck and… Merry Christmas!